Our efforts to understand the world depend on conceptual frameworks and are guided by metaphors. We have lots of them. I suspect that most are applied without awareness. If I am approaching a messy problem for the first time, I might begin with the idea that there are various “factors” that contribute to a population of “outcomes”. I would set about listing the factors and thinking about how to measure them and quantify their impact. This would depend, of course, on how I defined the outcome and the factors. Let’s take a messy problem, like the US congress. How would we set about understanding this? I often hear it said that congress is “broken”. That has clear implications. It suggests there was a time when congress was not broken, that there is some definable state of unbrokenness, and that we can return to it by “fixing” congress. By contrast, if we said that congress is a cancer on the union, this would suggest that the remedy is to get rid of congress, not to fix it. 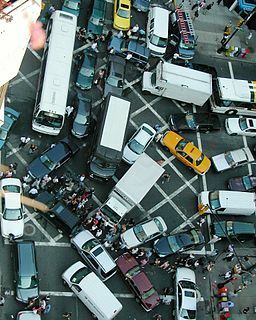 I also often hear that the problem is “gridlock”, invoking the metaphor of stalled traffic. The implication here is that there should be some productive flow of operations and that it has been halted. This metaphor is a bit more interesting, because it suggests that we might have to untangle things in order to restore flow, and then congress would pass more laws. By contrast, this kind of suggestion is sometimes met with the response that the less congress does, the better off we are. If this is our idea of “effectiveness”, then our analysis is going to be different. How do evolutionary biologists look at the problem of variation? How do their metaphors or conceptual frameworks influence the kinds of questions that are being asked, and the kinds of answers that seem appropriate? Here I’d like to examine— briefly but critically— some of the ways that the problem of variation is framed. The most common way of referring to variation is as “raw materials.” What does it mean to be a raw material? Picture in your mind some raw materials like a pile of wood pulp, a mound of sand, a field scattered with aluminum ore (image), a train car full of coal, and so on, and you begin to realize that this is a very evocative metaphor. 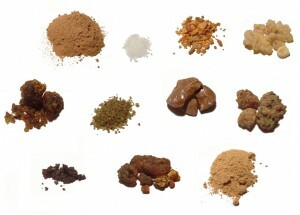 Raw materials are used in abundance and are “raw” in the sense of being unprocessed or unrefined. Wool is a raw material: wool processed and spun into cloth is a material, but not a raw material. What is the role of raw materials? Dobzhansky said that variation was like the raw material going into a factory. What is the relation of raw materials to factory products? Raw materials provide substance or mass, not form or direction. Given a description of raw materials, we can’t really guess the factory product (image: mystery raw materials). Raw materials are a “material” cause in the Aristotelean sense, providing substance and not form. This is essential to the Darwinian view of variation: selection is an agent, like the potter that shapes the clay, while variation is a passive source of materials, like the clay. What kinds of questions does this conceptual framework suggest? What kinds of answers? If we think of variation as raw materials, we might ask questions about how much we have, or how much we need. Raw materials are used in bulk, so our main questions will be about how much we have. This reminds us of the framework of quantitative genetics. In the classical idealization, variation has a mean of zero and a non-zero variance: variation has an amount, but not a direction. Nevertheless, the multivariate generalization of quantitative genetics (Lande & Arnold) breaks the metaphor— in the multivariate case, selection and the G matrix jointly determine the multivariate direction of evolution. The next most-common conceptual framing for talking about the role of variation is “chance”. What do we mean by chance? I have looked into this issue and its a huge mess. BTW, I have experienced several scientists pounding their chests and insisting that “chance” in science has a clear meaning that applies to variation, and that we all know what it is. Nonsense. The only concept related to chance and randomness that has a clear meaning is the concept of “stochastic”, from mathematics, and it is purely definitional. A stochastic variable is a variable that may take on certain values. For instance, we can represent the outcome of rolling a single die as a stochastic variable that takes on the values 1 to 6. That is perfectly clear. However, is the rolling of dice a matter of “chance”? Are the outcomes “random”? These are two different questions, and they are ontological (whereas “stochastic” is abstract, merely a definition). Often “chance” can be related to Aristotle’s conception of chance as the confluence of independent causal streams. To say that variation is a matter of “chance” is to say that it occurs independently of other stuff that we think is more important. Among mathematicians, randomness is a concept about patterns, not causes or independence. To say that variation is random is to say that it has no discernible pattern. What kinds of questions or explanations are prompted by this framework? One might say that it does not provide us with much guidance for doing research. I would argue that it provides a very strong negative guidance: don’t study variation, because it is just a matter of chance. But the same doctrine has a very obvious application when we are constructing retrospective explanations. If evolution took a particular path dependent on some mutations happening, then the path is a matter of “chance” because the mutations are a matter of chance. We would say that evolution depends on “chance.” This kind of empty statement is made routinely by way of interpreting Lenski’s experiments, for instance. This framework also inspires skeptical questions, prompting folks to ask whether variation is really “chance”. This skepticism has been constant since Darwin’s time. But the claims of skeptics are relatively uninformative. Saying that variation is not a matter of chance tells us very little about the nature of variation or its role in evolution. According to the stereotype, at least, academics value freedom. Who would have guessed that they would so willingly embrace the concept of “constraints”? In this view, the role of variation is like the role of handcuffs, preventing someone from doing something they might otherwise do. Variation constrains evolution. Or sometimes, variation is said to constrain selection. What kinds of hypotheses, research projects, or explanations does this framework of “constraints” suggest? To show that a constraint exists, we would need to find a counter-example where it doesn’t. So the constraints metaphor encourages us to look for changes that occur in one taxonomic context, but not another. Once we find zero changes of a particular type in taxon A, and x changes in taxon B, we have to set about showing that the difference between zero and x is not simply sampling error, and that the cause of the difference is a lack of variation. 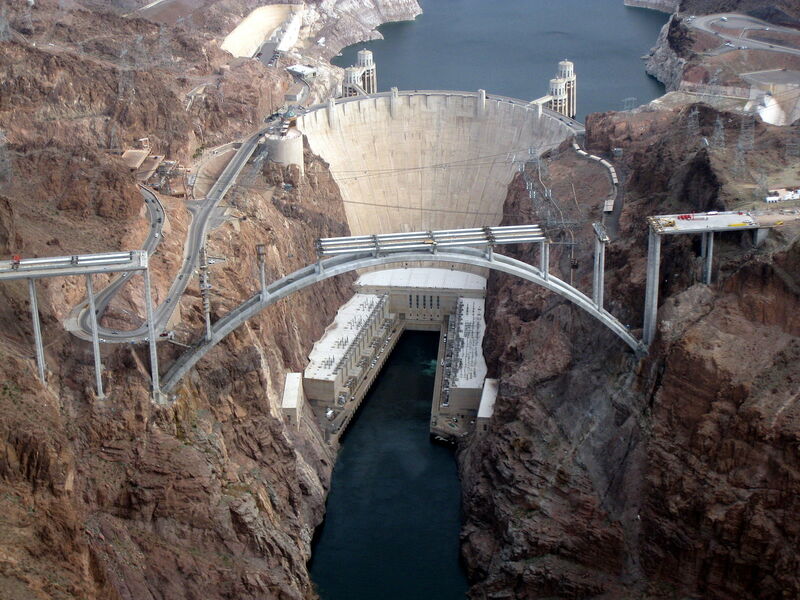 The Pat Tillman memorial bridge in a state of partial completion. How do we know it is incomplete?Originally posted to Flickr by David Jones http://flickr.com/photos/45457437@N00/4430518713. For this reason, the image of handcuffs is perhaps misleading. 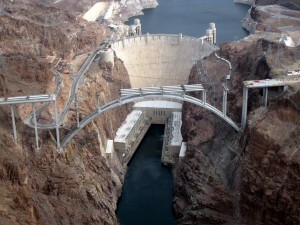 A better image would be a pie that is missing a slice, or perhaps an unfinished bridge (image). The difference matters for 2 reasons. First, handcuffs actually exist, and they prevent movement because they are made of solid metal. By contrast, a “constraint” on variation is a lack of variation, a non-existent thing. A constraint is not a cause: it is literally made of nothing and it is invoked to account for a non-event. Second, how can nature be found lacking? What does it mean to say that something is missing? We are comfortable saying that a pie is missing a slice, because we are safe in assuming that the pie was made whole, and someone took a slice. We say that the bridge is “missing a piece” because we know the intention is to convey vehicles from one side to another, which won’t be possible until the road-bed connects across the span. We are comparing what we observe to some normative state in which the pie or the bridge is complete. So what does it mean when we invoke “constraints” in a natural case? Isn’t nature complete and whole already? What is the normative state in which there are no “constraints”. Apparently, when people invoke “constraints”, they have some ideal of infinite or abundant variation in the back of their minds. How do we think about the role of variation in evolution? Above I reviewed some of the conceptual frameworks and metaphors that have guided thinking about the role of variation. The architects of the Modern Synthesis argued literally that selection is like a creative agent— a writer, sculptor, composer, painter— that composes finished products out of the raw materials of words, clay, notes, pigment, etc. They promoted a doctrine of “random mutation” that seemed to suggest mutation would turn out to be unimportant for anything of interest to us as biologists. The “raw materials” metaphor is still quite dominant. I see it frequently. I would guess that it is invoked in thousands of publications every year. I can’t recall seeing anyone question it, though I would argue that many of the publications that cite the “raw materials” doctrine are making claims that are inconsistent with what “raw materials” actually means. A minor reaction to the Modern Synthesis position has been to argue that variation is not random. As noted above, simply saying that mutation is non-random doesn’t get us very far, so advocates of this view (e.g., Shapiro) are trying to suggest other ways to think about the role of non-random variation. For a time, the idea that “constraints” are important was a major theme of evo-devo. One doesn’t hear it as much anymore. I think the concept may have outlived its usefulness. 1. According to Wikipedia, these are raw materials for making perfume, including (from top down, left to right) Makko powder (抹香; Machilus thunbergii), Borneol camphor (Dryobalanops aromatica), Sumatra Benzoin (Styrax benzoin), Omani Frankincense (Boswellia sacra), Guggul (Commiphora wightii), Golden Frankincense (Boswellia papyrifera), Tolu balsam (Myroxylon balsamum), Somalian Myrrh (Commiphora myrrha), Labdanum (Cistus villosus), Opoponax (Commiphora opoponax), and white Indian Sandalwood powder (Santalum album). Image from user Sjschen, wikimedia commons, CC-BY-SA-2.5,2.0,1.0; GFDL-WITH-DISCLAIMERS.